Strike the perfect chord with your audience! 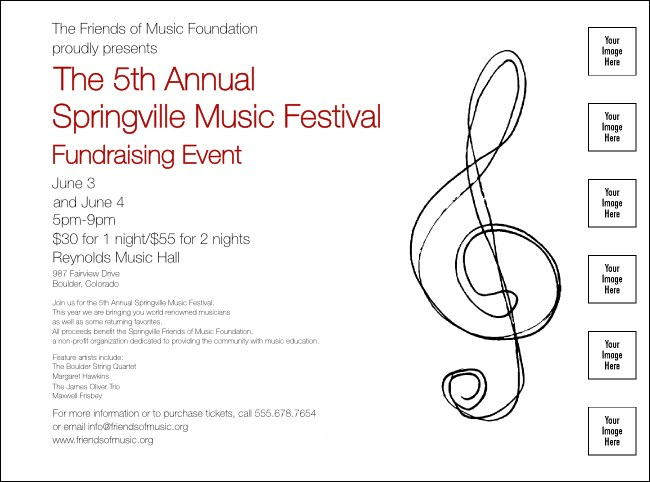 For a grand concert, the Music Festival Flyer helps you advertise in advance. Look sharp with the black Treble Clef design against the white background, coupled with space to upload 6 images or logos, and a matching Event Kit. Enjoy the sweet sounds of box office success with advance publicity from TicketPrinting.com.